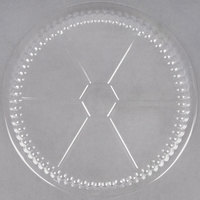 Safely transport your signature dishes with this 7" plastic dome lid. 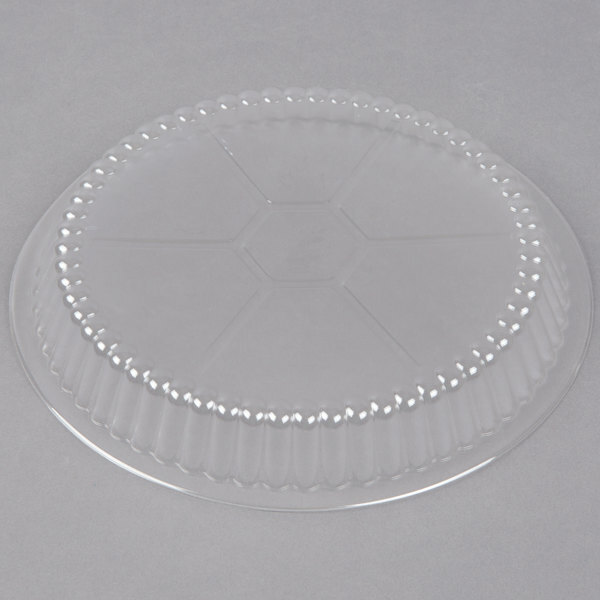 Great for restaurants and food trucks that offer take-out orders, this dome lid is the perfect fit for your existing 7" round foil plans. With the ability to properly package your to-go items, you can be sure your customers are receiving a fresh product without sacrificing your presentation. 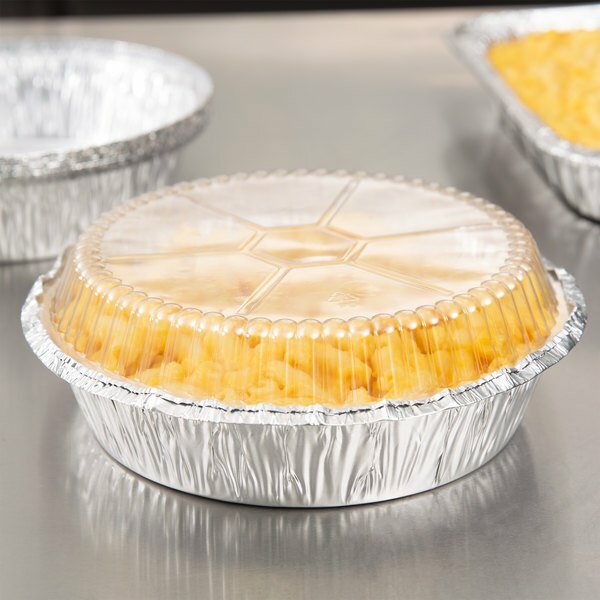 "Bought these lids to go with the foil pans. Especially like the domed lids because the icing doesn't stick to the top when I use them for cakes." 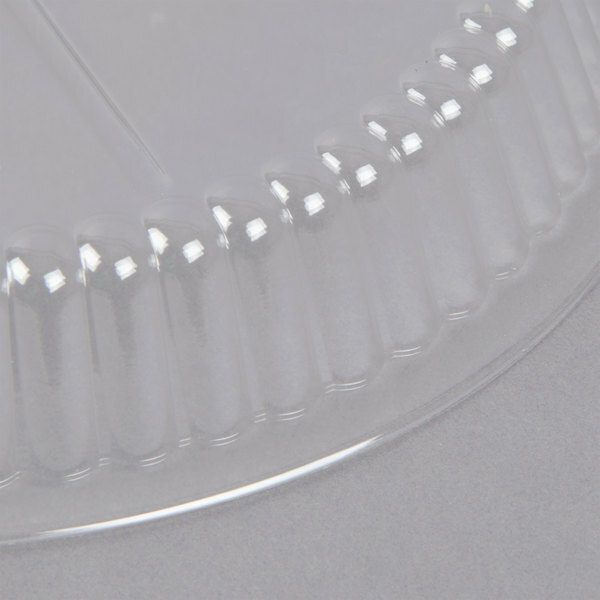 Boasting a clear, plastic design that provides optimal visibility and fast product identification, you can display your signature salads, sandwiches, and desserts using this lid to increase impulse sales. Customers will appreciate the ability to see what they are buying and your staff will be able to stay organized as they restock items. 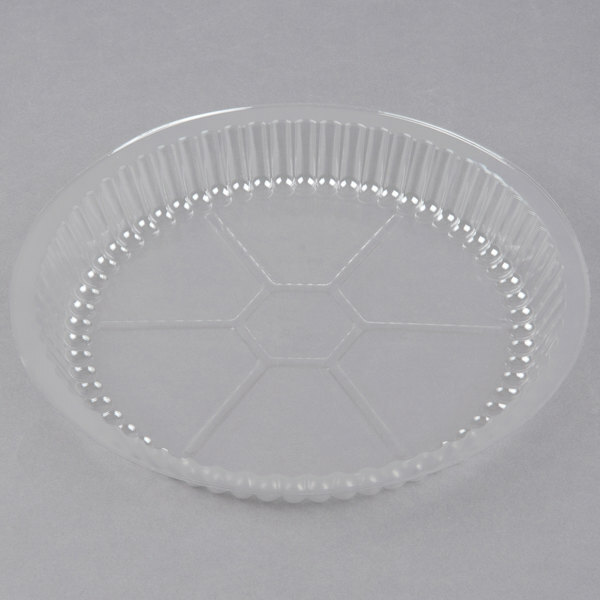 Thanks to its dome shape, this lid allows you to package pies, cakes, and more without risking your final presentation. Flat lids tend to press into your food, ruining icing designs, overcrowding sandwiches, and creating a mess. With its dome design, this lid provides ample room to package more food, while keeping your presentation intact. To keep items fresh, this lid sits on top of your foil pan and locks into place when the pan's edges are turned down. Plus, you can confidently transport food protected by this lid without worrying about spills! Regal Bulk Fancy Paprika - 25 lb. I used to but those lids from somewhere else but honestly here is more adorable and better quality. Material is better that others and not easy to bend. This well made lid/dish combo is great for restaurants who are sending out to go pastas/desserts/soggy items that wont do well in a box. We appreciate that they're a great economic choice while still having visual appeal for to go orders. 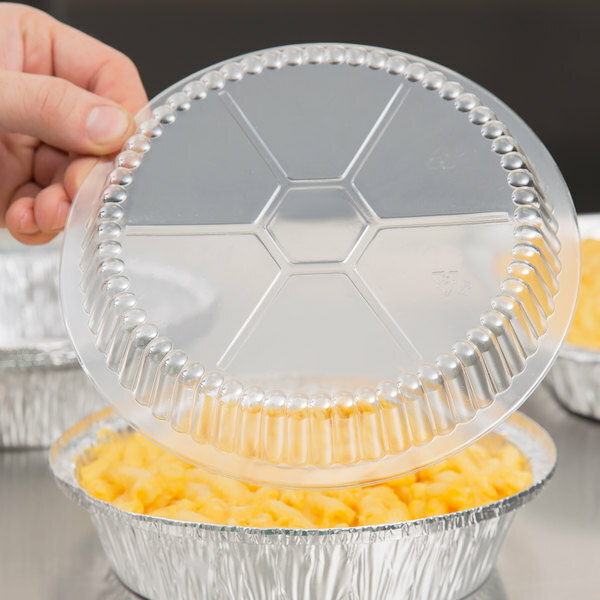 These dome lids are the perfect companion to the aluminum take out pans. They are durable and hold up well to hot items. Great value as well. This lid serves its purpose for the in foil take out pan. We love that it is see through and allows the customers to see their food! 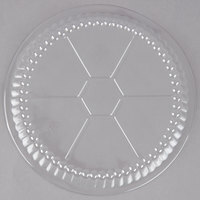 I use these to cover the pans for heavy duty to go plates filled with an entire meal. 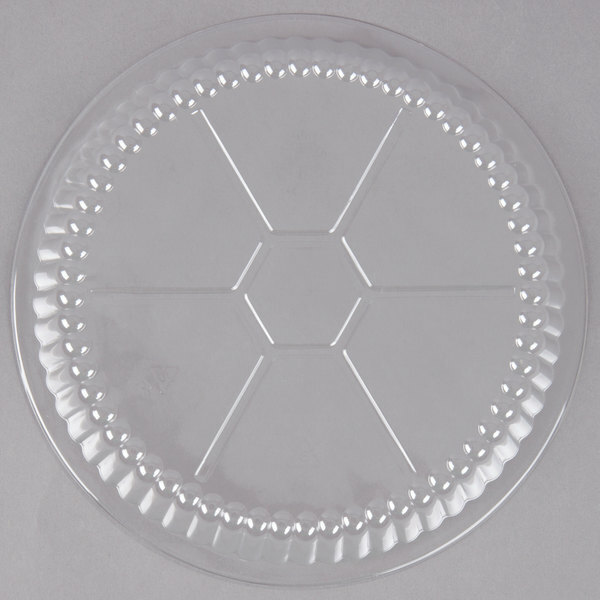 The plastic does not melt, with minimal leakage and keeps plates hot. This lid fits perfectly on my round foil take out. I love it because the customer can see what their product looks like and it keeps the product fresh. 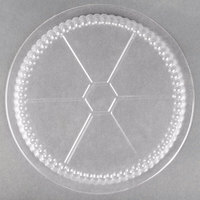 These clear dome lids are perfect for showing off your food dishes while keeping them hot. Great for take out applications using the matching foil pans. Case of 500 is a great value. We use these lids with same sized foil containers. The dome is just high enough for desserts that have ice cream and or whipped cream on top. At first I thought the lids will be too thin to cover any containers but when I received the product I changed my mind. They are good enough to cover regular 7" round tin foil containers. (I did not get Choice brand for the containers). These lids are a life saver. A few of our desserts contain milk and it prevents the liquids from spilling all over our refrigerator displays, also very great because it displays our products very clearly. Bought these lids to go with the foil pans. Especially like the domed lids because the icing doesn't stick to the top when I use them for cakes. we bought this to fit for the aluminium to go box. we use them for our pasta dish. the lids are clear and make the dish look good. This lids help to keep my pea-can pie from insects. The lids fit perfectly on the aluminum 7" container. I definitely will buy more once I am out. 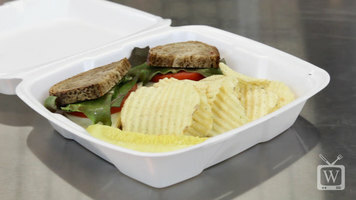 The plastic dome lids are much better than the cardboard plastic lids which often get dirty and spill easily. These plastic ones really are great.